Event Parking: No parking in the lot by the soccer fields and anywhere along the road on South Main. 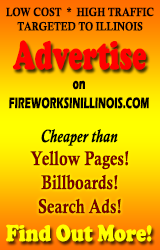 Fireworks Display will be held in the Chatham Community Park at dusk on July 4th. No parking in the lot by the soccer fields and anywhere along the road on South Main.